What Does Your Four-Legged Friend Need? Herbal and nutritional supplements in this category provide daily support for the normal structure and function of your pets’ body. These products can help to create "daily wellness" when used as part of a comprehensive program that includes a wholesome and balanced diet and "smart" lifestyle choices. A wholesome and balanced diet can help support your pet through the most difficult of times. 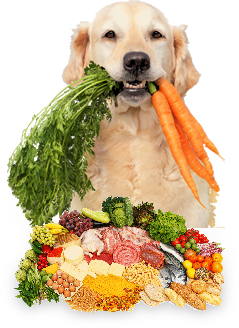 Many manufactured pet foods do not contain food-bound antioxidants and healthy micronutrients as are found in wholesome, fresh food. This category contains supplements for you to use in the preparation of a home-made meal for your pet. The items in this category are "Targeted” approaches that support a healthy whole- body response to specific challenges. The products in this category are meant to enhance your pets quality of life. Its the basic things in life that mean the most: Enjoyment of food; Mobility; Freedom from pain; Control over urination and defecation. My dog is doing very well on this and other natural products.. He was diagnosed with multiple myloma (cancer of the immune system). My dog, diagnosed with multiple myloma (cancer of the immune system) is doing very well on this supplement (along with other products recommended by Dr. Silver). I have not used this product yet and hopefully never will - but I have it in my animal/human emergency kit just in case. The price was good and the order/shipping process was seamless. We are very pleased with this product for our cat. Her arthritic pain has diminished and she seems to find the oil very palatable. I would highly recommend. This product has helped my 13 year old Jack Russell's tremors. Easy to administer...he loves the soft chewy. Easy to order and a wealth of info on the site. Silver Naturals Hemp Oil has been very useful for treating chronic lower back and overall pain for the aging primates in our care. 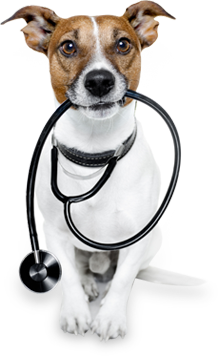 Established by a noted holistic veterinarian of over 30 years' experience in clinical small animal practice using supplements for pets just like yours. The Well-Pet Dispensary carries many unique, high-potency professional-grade nutritional and herbal supplements that are hard to find elsewhere and also all in the same shopping place. These natural supplements can help you to create a healthy and natural approach to your pets' health. Our Customer Service Department’s bark is worse than their bite; you will find them as AMAZING as our Supplements!!! We can ship it via USPS Priority Shipping. Just check the Expedited Shipping option when checking out and we will get it to you ASAP!